Can we move beyond the foreign policy of good intentions? 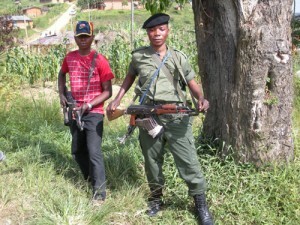 Wars, Guns, and Votes: Democracy in Dangerous Places. New York: Harper Collins, 2009. 255 pages with index. A decade ago, we were worrying about the Y2K bug that was going to reset the modern world to the year 1000. We were debating our participation in NATO’s mission to stop the ethnic cleansing of Kosovo. We were embarrassed that our F-18 fighter-bombers had radios so old they couldn’t communicate with our allies, and we were unsure, when our side accidentally bombed a tractor-pulled convoy of refugees, whether this was the sort of war that Canada should be part of. Afghanistan was a faraway country about which we knew little; coverage of the Taliban government was critical but disengaged. This was a state where war and oppression had glided entwined across the dance floor for a long time; it was indecent to watch too closely. There was nothing we could do. Who in 1999 could have imagined that by 2009 Canada would have been at war in central Asia for eight years? If our combat forces withdraw in 2011, as our politicians promise, our time in Kabul and Kandahar will have equalled the Soviet Union’s war from 1979 to 1989. 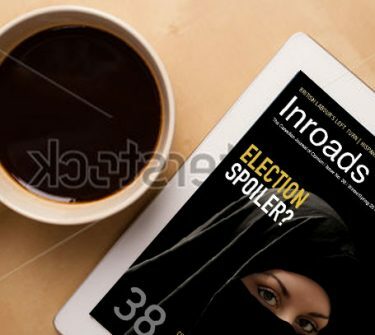 Our decisions to allow countries to slide into anarchy or terror, and the tools we can use to stop or arrest that slide, are covered by two very different books that, read together, help us understand Canada’s current attitude toward the world – and what it could be. Toronto writer Kim Echlin has written about Sumerian goddesses and the lives of elephants. In her third novel, The Disappeared, which was shortlisted for the Giller Prize, she followsthe murky trails of the Cambodian genocide and its aftermath, seeing Cambodia from the perspective of a young Montreal woman who falls in love with a young Khmer man. Her failure to save him symbolizes the world’s inability to intervene positively in disintegrating states. Echlin’s novel also symbolizes Canadians’ inability to understand that good intentions, even love, are not enough. 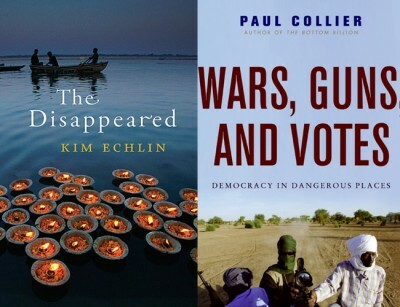 The second book is Paul Collier’s Wars, Guns, and Votes: Democracy in Dangerous Places, the sequel to his earlier The Bottom Billion: Why the Poorest Countries are Failing and What Can be Done About It.1 Collier offers a realistic toolkit for liberal interventionists. His hardheaded idealism stands in contrast to Echlin’s romantic cynicism. Collier places the lessons learned from Tony Blair’s successful intervention in Sierra Leone, and to a lesser extent the NATO intervention in Kosovo, into a practical framework: how to defend, or create, the conditions necessary for genuine democracy to grow. To summarize brutally, Collier is interested in determining when a benevolent dictator is a better bet than a corrupt democrat. These books tell us something about our failure, and potential, as Canadians to be actors on the world stage. Even as we reached out in the last decade with foreign aid and weapons, blue helmets and second-hand Leopard tanks, we were protected by geography from a cold world we didn’t understand. At the end of World War II Canada mattered, in part because we had one of the world’s largest armies. We had proven our values in action against fascism, and we used that reservoir of cultural goodwill in the standoff against communism. But that standoff ended two decades ago, and we haven’t moved on. During the Cold War, no matter how bad things were in the poor corners of the world, we knew that no real change was possible. The tension between the Soviet Union and the United States served to limit the scope of international action; the poor, Canadians agreed, would always be with us. We did what we could to ease the roughest edges of human suffering but this had more to do with assuaging our guilt than with changing the world. Today our standard-bearers, following the withering of our foreign service, are the travelling teenagers with maple leaves sewn to their backpacks. They are sufficiently friendly and polite that most people are ready to give them and by extension all Canadians the validation we crave – acknowledgement that we are not Americans. But because we’re so inward-looking, our gaze doesn’t travel much beyond our fascinating neighbour and nemesis to the south. The few Canadians interested in the world beyond that horizon often give undue respect to anyone who studies faraway places. They should be wary of doing so. Kim Echlin, with her well-received novel The Disappeared, is to our fiction what Stephen Lewis is to our foreign policy: well-intentioned, overwrought, simplified, superficially respectful but ultimately deeply traditional. This is a love story told by Anne, a Canadian who falls in love with Serey, a young Cambodian in Montreal exile from Pol Pot’s murderous Khmer Rouge regime that killed a quarter of the population between 1975 and 1978, before being overthrown by a Vietnamese invasion. He goes home when Pol Pot is chased from the capital and eventually she follows him to Phnom Penh; they are reunited but he disappears again, murdered by the new government in the wake of the 1993 elections conducted by the United Nations. After searching for his remains, she returns home to Montreal to mourn, and to pass judgement on a brutal world she does not understand and cannot, in her opinion, change. Anne accepts without question the stories her lover tells about his country. For her he is Cambodia, although anyone who escaped the Khmer Rouge as he did, by plane to a Western country, was a member of the elite. The corruption and violence of this elite laid the foundation on which the Maoists built their agrarian dystopia. His folk stories of Khmer life – “Om Theay lived in the palace as a child and was a favourite of the Queen; she taught many hours every day, trying to save the dances” – provide a strange parallel to Saloth Sar, another Cambodian who spent time in the palace as a child, visiting his sister. The young Saloth Sar is better known as Pol Pot. Her lover’s stories are part of the fabric of myth that wove a straitjacket around the majority of poor Khmers. All this is lost on Anne, caught up in her dream of a peaceful world torn apart: to her the Khmers are Rousseau’s noble savages, transplanted from the forests of North America, from the land on which Montreal itself was founded and grew, to the rice paddies of southeast Asia. When Anne first meets Serey, she is sixteen, and this sort of simplicity defines young love. You’re fascinated by the bright colours of someone’s personality, oblivious to the shadows. But this naiveté persists; it survives Serey himself. Echlin’s prose, consistently flowery and sometimes mesmerizing, often overgrows into a wild weed patch of words (“Our fingers like small wings traced over each other’s whispers all through that first night, the first night of life”). A suitable vehicle for the expression of adolescent emotions untrained by experience, the prose becomes maudlin sentimentality when confronted with Cambodia’s tragedy. But my criticism is not about style, nor is it about Echlin’s mashing together real events and people; this is a novel, after all. I am not concerned with the alleged crime of “appropriation of voice”: the accusation that only a woman can write about women, only a Cambodian about Khmers. What troubles me about The Disappeared is not that Echlin speaks for Cambodians, but that she does it so poorly. My criticism is her failure to grasp the reality of Cambodia, to make it anything more than a sugar-palm-decorated backdrop to a Canadian story. The idea that real change is impossible; that all quests end in failure, is an ancient and conservative weight around the neck of civilization, and one modern Canada has embraced with strange fervour. I say modern Canada because it is a new idea; this was an aggressive country that warred within and without its borders, from the many chapters of French and English conflict to Riel’s rebellions to bloody strikes in the early 20th century. Defenders of this new Canada say we are now multicultural and respectful. This is another way of saying we are both smug and vacillating: we have seemingly lost the ability to differentiate between open-mindedness and indecision. We have forgotten our history as immigrants, as subjects and peasants and serfs in Europe, Asia, Africa – and our First Nations governments usually demonstrated similar patterns of oppression, sexism and violence. In just a few generations we have forgotten where we came from as a country and adopted a parochial smugness that looks at the world with quiet amazement, unable to understand why those Rwandans, those Sudanese, treat one another as they do. The world is a mirror that reflects our virtue back on ourselves: in the novel Anne is one of the few to look for the bodies of their loved ones. In a country with millions of dead, she cares; by implication, the Cambodians do not. She is brave where they are afraid. She risks the lives of herself and her friends in the pursuit of Serey, but once she finds his skull her work is done: the personal is political. I don’t want to overburden Echlin’s fictional character with symbolism, but she illustrates a Canadian weakness and narcissism that extends to our political class. Why would those countries still engaged in Afghanistan listen to our helpful suggestions after we withdraw our troops? Since the Taliban have made their position on girls’ education fairly clear, how willing will other countries be to protect our much-expanded CIDA-funded network of girls’ schools from the men with guns? This is the foreign policy of good intentions: the belief that, underneath, everyone is reasonable. We have degraded history and culture into folk dances and costumes, a belief that the world is filled with not just Canadians, but Pearson-era Canadians: hard-working, sensible, professional people who may sometimes act up but who are as pragmatic and decent as Ed Broadbent. We expect Pearson but we often encounter Mengistu, Mugabe or worse. The conflict between our rose-coloured multicultural expectations and a violent oppressive reality causes us to withdraw, like Anne, back home to a country based on illusions. In some ways it’s unfair to single out Echlin’s novel, the NDP or Canada. This problem – how to deal with crises, genocide and repression born of political or religious extremism – has gripped and mostly overwhelmed modern liberal democracies. It is understandably tempting for us to look at our domestic successes instead of coming to grips with the complexities, and sometimes the horrors, that much of the world endures. Admittedly, some have grappled with what Samantha Power, a colleague of Michael Ignatieff’s at Harvard and now foreign policy advisor to President Obama, has called “the problem from hell”: how to confront genocide and, more broadly, any government that oppresses its people. The focus on genocide, though, misses the point: by the time a genocide or mass killing is under way it is difficult to stop, even with all the political and military will in the world. After the fact, the genocides of the 1990s spawned United Nations concepts like the Responsibility to Protect (R2P), another in a long line of empty UN promises, one the then Liberal government helped draft. It states that every government has the responsibility to protect its citizens, with unspecified consequences if it doesn’t, and goes on to emphasize how this responsibility is vested in the supreme authority of each nation-state to govern its own affairs. It is the equivalent of a teacher trying to discourage the school bully by praising the size of his biceps. A counterpoint to the wishful thinking of R2P is the recent effort led in Canada by a group including Senator Romeo Dallaire.3 It has tried to give teeth to R2P through a doctrine called the Will to Intervene. Looking to Kosovo for inspiration and to Rwanda for a warning, the group spells out the responsibilities of nation-states and the consequences – which include the use of military force – if they fail to live up to their responsibilities. The promoters of the Will to Intervene are brave in making explicit the ultimate consequence for states planning genocide, and in stating that an individual nation or group of nations can act to stop genocide without United Nations approval. But to date the promoters have been vague in defining the criteria to trigger sanctions, blockades and armed intervention. The vagueness is dangerous; it gives countries an easy excuse to explain their passivity. And the concept doesn’t address what happens if, for example, Britain decides that it has a Will to Intervene in Darfur, and China, with significant economic interests in the region, decides to intervene on the other side. The Will to Intervene could lead, not to a new world of humanitarian foreign policy, but to an old-fashioned war. The most careful attempt to define a coherent liberal interventionist position is that put forward by the British academic Paul Collier in Wars, Guns, and Votes. As good as Collier’s book is, he still ignores a key problem illustrated by Echlin’s naive view of atrocities and policy. More on that later. Collier tries to give a framework to the liberal interventionist doctrine that was most notably expressed by the British Labour government after its election in 1997. The successes of the doctrine were the unilateral military intervention in Sierra Leone and leadership in the NATO-led actions against Serbia. As Blair said, “They ask me why I don’t get rid of Mugabe … Why not the Burmese lot? … I don’t because I can’t. But when you can, you should.”4 The doctrine foundered when Britain joined the American invasion of Afghanistan, and sank under the weight of the ineptly executed war in Iraq. Liberal interventionism, if not tied to a set of clearly defined ideological or even procedural benchmarks, starts to look like imperialism, as the American neoconservatives have shown. In his earlier book The Bottom Billion, Collier argued that foreign aid contributes to and exacerbates poverty in many countries, particularly in sub-Saharan Africa. In his new book, using extensive data, he provides suggestions for tackling the problems from hell head on: How do we define a bad government? Is democracy necessarily better than dictatorship, military rule or other authoritarian regimes? How and why and when should we help get rid of “bad” governments? What should we expect from a replacement regime we help install? To ask these questions is to walk into very uncomfortable territory. Collier does it with his eyes open, and talks the reader through every step of the way. He dissects the failures of democracy in impoverished countries of the bottom billion, establishing that poor democracies endure higher levels of political violence than poor dictatorships. “In the typical society of the bottom billion,” he concludes, “electoral competiton, far from disciplining a government into good policies, drives it into worse ones.” Not until a country’s per capita annual income exceeds about $2,700 does democracy typically reduce political violence. Collier provides many reasons why poor countries and elections don’t mix: ethnic diversity encourages leaders to play off one community against another; bribery works – the list goes on. He does acknowledge that it is elections that are the problem, not democracy in principle. Nonetheless, Collier is guilty of the same sin of which he accuses others, especially well-meaning internationalists: confusing the concept of democracy, popular rule, with ballot boxes. The theory of elections leading to conflict in the context of poverty makes sense. Even in a prosperous and stable country like Canada, elections are usually as close to conflict as we get. Listen to the language of our politics. We have attack ads and rapid response teams; campaigning politicians talk of the “air war” for control of the media; parties compete in sign wars to demonstrate their dominance over their territory. We may use small plastic signs and not AK-47s or bundles of five-dollar bills, but the intention is the same. Collier moves on to the responsibilities of wealthy countries, and how their assistance could be made more positive. Rather than pushing for elections, he not surprisingly urges support for measures conducive to economic growth, assistance in combating inflation and other standard tools. Where he goes beyond the ordinary is in making the connection between economic growth and political stability, and the need for the international community to safeguard the latter as much as the former. No one will invest when their investment is likely to be stolen or destroyed – unless they’re investing in guns or other tools of insecurity. When I visited Kabul in 2002, just after the overthrow of the Taliban, the hills around the city were dotted with mud-brown houses that blended into the stone; you had to look hard to differentiate between the shadows cast by windows and those by boulders, or between a war-damaged house and a pile of fallen scree. When I visited two years later, those same hills were covered with homes painted bright blue and other colours. There were few damaged buildings, and paths and even roads had been repaired. People had come to believe that things were going to get better, and that it was worth investing in their houses. Collier goes on to elaborate on how the international community could help a country at risk of a coup, a stolen election or a foreign invasion: offer it a contract, with set conditions that it promises to enforce. This is somewhat akin to the strategy covered by the Will to Intervene. Instead of a response to a burgeoning catastrophe, however, these compacts between states or groups of states could be signed long before a crisis bubbles to the surface. Aid would be conditional on human rights abuses being curtailed and minority groups being protected, and the consequences for stealing an election would be the same as for staging a coup: intervention in some form, including military. At first this idea sounds hopelessly naive, but it was given effect recently with the Kerry-Lugar aid package negotiated between the United States and Pakistan. In addition to a massive increase in assistance, enough according to some experts to buy the Taliban out of the war, the aid comes with a thick string attached: if the army intervenes in politics, the money stops. But that’s still stopping short of the ultimate sanction: military intervention. And we have to accept that in some cases some armies, some politicians, will not be stopped by anything except their forcible removal from power. Look at Mugabe, who has endured sanctions and isolation; he only agreed to a power-sharing government when his own courtiers started to grow worried that the old man was losing his grip, and pushed him into a deal. Collier is primarily motivated by a lifetime of work in sub-Saharan Africa where, for the last two decades, most violence has been the result of internal groups contending for power. By focusing on the relationships between mostly small states involved in a security contract, he ignores the larger picture of regional or global powers unhappy or unwilling to accept humanitarian military intervention in their spheres of influence by a country such as the United States, Britain or France. Collier hopes that states will rationally accept the benefits of increased security, but this ignores the role of emotion in international affairs. A test for Collier is to apply his prescriptions to the country of Echlin’s novel, Cambodia, a country he never mentions. What would you do if you had been in the shoes of Hun Sen, the Khmer Prime Minister installed by the Vietnamese after their invasion? He has run the country more or less uninterrupted since 1985, and is named as the man responsible for the murder of Serey in The Disappeared. Don’t answer this question as a comfortable Canadian, with the privilege to do the best thing under the best circumstances. Imagine yourself surrounded by literal enemies on all sides, your country filled with armed groups ranging from old monarchists (the class Serey’s family belonged to), backed by the United States, to the Khmer Rouge, backed by China and then by the United States and Britain5 and helped by Thailand. You know the Vietnamese can depose you whenever they want, and you know your people hate the Vietnamese. You have no money, no infrastructure, a traumatized and illiterate population, a country littered with mass graves and minefields. An election has been imposed by the international community, in which the armed groups participate, except the Khmer Rouge, who won’t allow the vote to take place in the third of the country they control. You lose the election. Citing the probable truth that your monarchist opponents are not capable of running the country, would you do as Hun Sen did: refuse to cede power and, under pressure, form a coalition government with the rightful winners and lead an unstable cohabitation for three years? Your first focus is on security, on winning the war against the Khmer Rouge. When your monarchist opponents appear set on allying themselves – not for the first time – with Pol Pot, you move against them in a short and bloody civil war. In the years that follow, from time to time you kill political opponents, disrupt opposition rallies and generally fit the model of a soft authoritarian. Is Hun Sen a dictator, a democrat or some mixture of the two? Beyond that, is he what the country needed, or was his tight control sufficient justification for the sanctions and condemnations that some countries, notably the United States, heaped on Cambodia for nearly 20 years? It is hard to imagine anyone having done a better job than Hun Sen at leading his country from devastation to the threshold of prosperity. As an efficient “soft autoritarian,” Hun Sen would presumably pass Collier’s tests and should not be subject to international sanction. Furthermore, he has been sensitive to pressure applied by donor countries, in precisely the way that Collier predicts. Far from the traumatized and alien landscape pictured in The Disappeared, Cambodia has risen beyond its traumas in a way that few can imagine. But while Cambodia’s rulers have shown themselves to be, well, sensitive, things today are regressing. Even though Cambodia has reached a per capita income where Collier suggests democracy should be beneficial, show trials for blameless opposition leaders are continuing, people are being forced from their land to make way for Chinese-backed industries, and the country’s natural resources are being stripped. For critics, this is proof that Hun Sen and his Cambodian People’s Party are as bad as their critics had always maintained. Collier would see inadequately drafted contracts that failed to envision new events. Until a few years ago Cambodia was supported by foreign aid from Western donors; now, the booming Chinese economy has pushed across the borders. Suddenly the soft contracts, aid money in exchange for human rights protection, are not binding. Because they weren’t backed by hard threats, and the Chinese are not known for imposing moral strictures on their trading partners, Hun Sen is free, if he wants, to make Cambodia into another Burma, another Sudan. The chances are he won’t, because he benefited politically and economically from his strategically improved behaviour, but there are no guarantees, and neither the Cambodian people nor the donors who have given millions of dollars to the country over the course of nearly 20 years have any recourse. Here is the flaw in Dallaire and Collier: they never raise the obvious, central point: why should we in the West care? Echlin at least is honest with her central character. Anne cares only for Serey and herself; the world’s traumas are a backdrop to her own middle-class Canadian existence. Echlin’s honesty lets her off the hook, but the question remains. Yes, there are economic and security consequences arising from the misery of the bottom billion. But in our advanced democracies it’s hard to convince people to vote to protect their own pension schemes, let alone to launch foreign wars to preserve the integrity of an election in some far-off minor country. Ultimately, Echlin’s novel and Collier’s analysis pose a moral question. We need to remember that it was not simple self-interest or economic necessity that allowed the evolution of our admittedly flawed modern democracies. We chose to be more inclusive, to be more tolerant, to be angered by oppression to the point that sometimes we would do something about it, including spilling blood. The hard question is the one Peter Stoffer, an NDP MP from Nova Scotia, asked Dallaire: how do we get the Chinese and Indians to buy into this? Until we are ready to answer that question by saying that we are ready to sign contracts regardless of what the Chinese think, then liberal interventionism will always fail. Collier’s statistics and Dallaire’s arguments are both pillars for a sound and moral foreign policy based on the principles of internationalism that informed the left for most of the 19th and 20th centuries. As a developed democracy, we have to recapture the spirit that led us to know that democracy is ultimately something worth fighting for. We have to convince Echlin’s Anne that it would have been better for her to stay in Cambodia, to fight for what she believed in. And our political class has to talk to Canadians about how globalization has brought us immense benefits and power, but for too long we have ignored the accompanying responsibilities. Without a rebirth of Enlightenment values in an ideological vessel suited for the 21st century, the bottom billion will remain prey for powerful states. In the 19th century imperial powers included France and Britain. In the 20th century, the United States and Soviet Union exercised that role. Now it is the turn of China and India. Neither Collier’s nor Dallaire’s solution can block a great power from doing damage to the bottom billion if so inclined. 1 New York: Oxford University Press, 2006. 3 Romeo Dallaire and Frank Chalk (Co-Directors), The Will to Intervene Project, (Montreal: Montreal Institute for Genocide and Human Rights Studies, 2009). 4 Anthony Seldon, Blair Unbound (London: Simon and Schuster, 2007), p. 86. 5 The Reagan and Thatcher governments provided support to the anti-Vietnamese resistance movements in the years after Pol Pot’s overthrow. Western governments defended the right of the Khmer Rouge to occupy Cambodia’s seat at the United Nations until 1985 and provided covert aid for many years more.